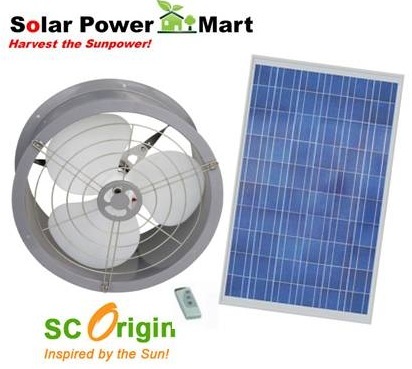 SC Origin provides the latest solar ventilation fan technologies direct to our customers. We offer a complete line of renewable energy products that meet the highest quality standards in the industry. 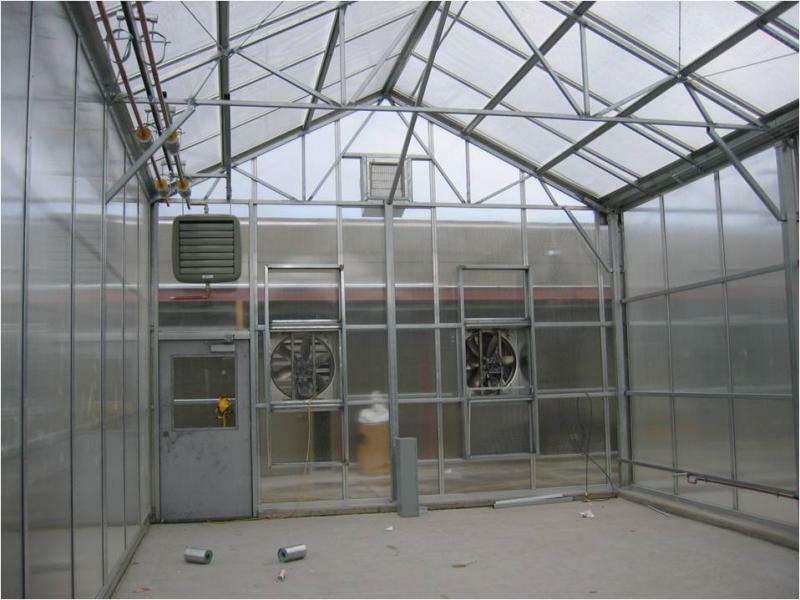 Good ventilation is critical in businesses, for instance maintaining an optimal growing environment in agriculture and improves the overall efficiency of a greenhouse. It is essential for both good temperature and humidity management. Cooling is critical in the agriculture environment and is most commonly achieved using passive roof ventilation. The movement of hot air up and out of the roof vents, pulls in cooler air. 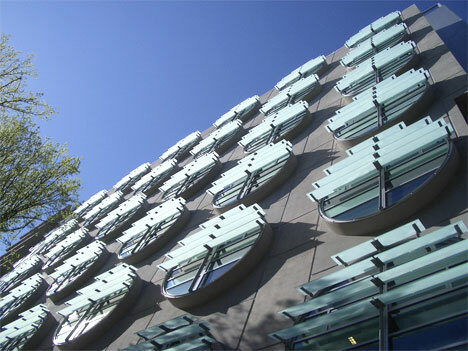 Ventilation is also important for air circulation and replenishing carbon dioxide. Poor air circulation reduces plant activity and can lead to problems with humidity and disease management. Air movement in the greenhouse should be between 0.2 and 0.7 metres per second. If carbon dioxide levels are not maintained, plant growth is affected. Ventilation is about air exchange. Large volumes of air need to be moved during hot conditions. 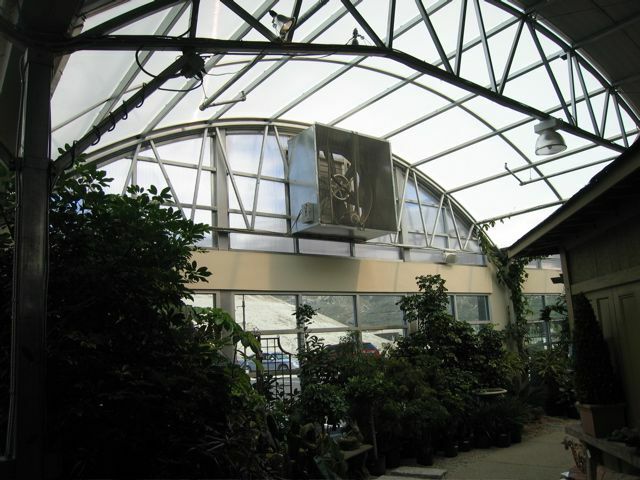 A greenhouse needs to be able to achieve at least 30 air changes per hour, but ideally 60 air changes per hour – one air exchange every minute – is needed to make sure the greenhouse environment can be managed in hot sunny conditions. The application for solar ventilation fan is very wide: factory, greenhouse, attics, kennel, garage, animal shelter and so on. Our 20 Watt solar industry ventilation fan is perfect for ventilating hot spaces such as factory, attic, garage, cabin, RV, boat, basement, greenhouse, trailor or wherever ventilation is needed. Using our super cell 20 watt solar panel and 400m due power DC/AC brushless industry fan, the solar powered fan can reduce temperatures by 40-60 degrees and will pull 1,200 cfm (cubic feet per minute) of air from your space. Installs easily in 400mm hole with no wiring needed. Fan automatically starts when the sun is shining on the solar panel. Quiet operation. comes with solar cable, more can be added. We also add in Li-Ion battery and Remote Controller as option accessories so that the industry fan can perform other industry requirements. 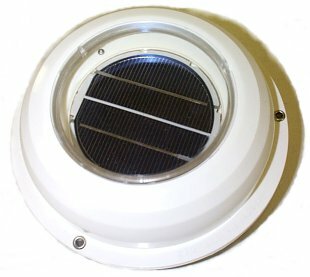 Fan specs: 1,400rpm, .56A, noise level 55db, Solar panel: 10" X 16" X .7"
This durable, weatherproof solar powered ventilation fan is great for boats, vans, RVs, mobile homes, dog houses and more! Operates only when in direct sunlight. This solar vent extracts 680 cubic feet of air per hour under normal operation. For example, an RV that is 14 feet long, 5 1/2 feet wide and 6 feet high would take less than 45 minutes to completely change the air. To calculate the cubic feet of a space you wish to vent, multiply the length X width X height (in feet). Then, to calculate the number of minutes it would take to completely change the air in that space you would divide the cubic feet by 680 and then multiply X 60. Comes with a gasket and installs in a 5" diameter opening. This is a smart pollution-free, environmentally conscious solution to venting and cooling many outdoor enclosed spaces with solar exposure. 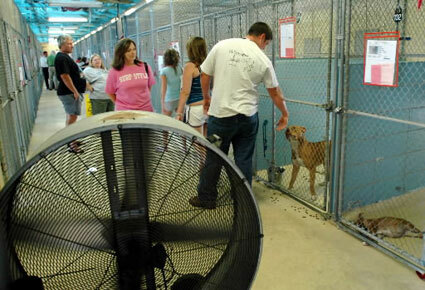 Your dog will be happier with the solar ventilation fan to cool down their house temperature! Cool down attics, kennel, and bans. Solar powered fans run when they are most needed, when the sun is shining! During hot season, your attic temperature can reach 150 degrees. High temperatures cause an increase in energy consumption by air conditioning equiptment. Forced vetilation will circulate cooler air through the attic space and lower the teperature. Fan and solar module combinations allow daytime ventilation and air circulation anywhere the sun shines. 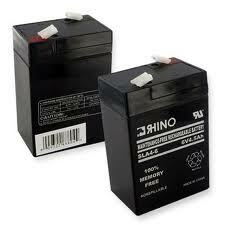 They are great for greenhouses, kennels, barns and attics where AC power is not available. The solar module runs the fan at full power in full sun and at a slower speed in overcast weather. Operation is automatic. When the sun shines on the solar. 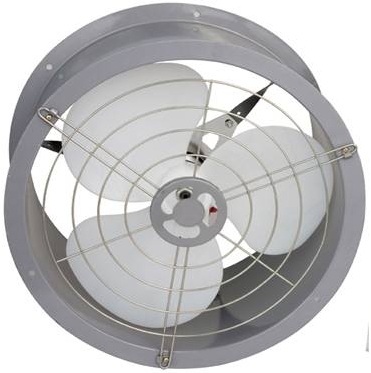 With add on Li-Ion battery, the solar industry ventilation fan can run during the night and overcast weather.